MANPADS (Man Portable Air Defense Systems) are a serious threat in Ukraine and elsewhere. Reportedly filmed near Donetsk, in eastern Ukraine, the following footage shows an Ukrainian Ilyushin Il-76 releasing plenty of flares during the initial climb after take off from the local airfield. Flares are infrared countermeasures made of a composition based on hot-burning metal used to counter heat seeking air-to-air or surface-to-air missiles: flares generate temperatures equal to or hotter than engine exhaust attracting the missile’s seeker head. Considered the low speed and poor maneuverability, airlifters and helicopters (the latter even more exposed to the risk because they normally operate at lower altitudes) are vulnerable to MANPADS, as many videos coming from Syria have demonstrated. Little details are available on the type of MANPADS used in Ukraine, other than they pose a serious threat to Ukrainian aircraft. 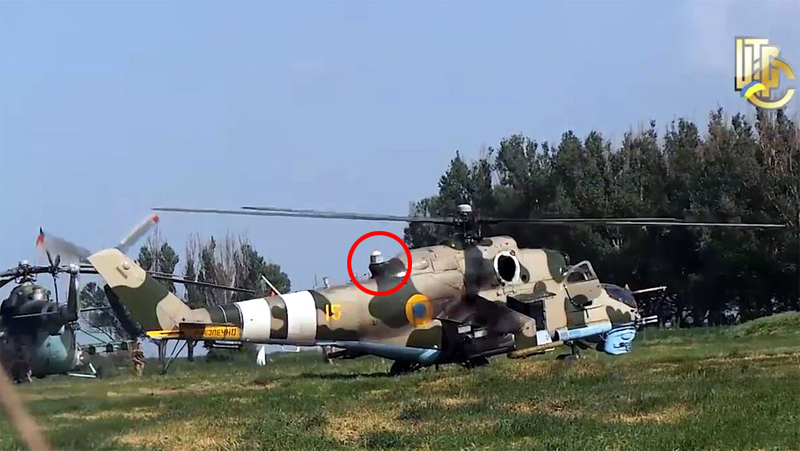 Most probably, those involved in the downing of two Mil Mi-24 Hind helicopters by “unknown persons by means of man-portable air defense system (PZRK)” overnight into May 2, were Igla: either 9K310 Igla-1 (SA-16 “Gimlet”), or newer 9K38 Igla (SA-18 “Grouse”), which are known to be operated by the Ukrainian (and Russian) military; others were reportedly stolen from Ukrainian units in March and may have ended in the separatists hands. Ukrainian Mi-24 Hinds have been fitted with “Andros KT-01AVE” Counter MANPADS suites with “L166V1A Lipa” jammers. Video shows Syrian Mil Mi-25 gunship releasing flares. A sign that rebels got their hands on MANPADS?